Much as I approve of the Victorian era in theory, I have to admit that in practice, I usually don't enjoy Victorian novels. (Unless they're by Anthony Trollope, and he is a different story). Recently, however, I decided to read F Marion Crawford's 1901 historical romance, Marietta: A Maid of Venice - and enjoyed it much more than I expected. In 1470 Venice, the glassmakers of Murano enjoy a privileged position. Their social status permits them to intermarry with the nobility, and it's forbidden to teach their trade to foreigners, which ensures that the secrets of fine glassmaking never leave the lagoon. These two privileges benefit the wealthy Angelo Beroviero, a glassmaker who plans to marry his daughter Marietta to the young patrician Jacopo Contarini - but they pose a significant challenge for his young servant, Zorzi the Dalmation. Despite the law, Zorzi has learned the craft of glassblowing while assisting Beroviero, and has become a truly great artist - but being a foreigner, he'll never be able to go into business for himself, or to win the hand of Marietta, whom he loves. When Beroviero sends him on a secret mission to Venice to arrange a meeting between Marietta and her intended husband, Zorzi stumbles upon a secret society and sets in motion a chain of events that threaten his whole future - his work, his love, and even his life. Looking back, I can acknowledge that this story has its faults. The plot is not particularly tight, and some of the supporting characters are either underused or cartoonish. Contarini's villainous mistress, Arisa, is particularly deplorable - she's depicted as "savage" based purely on being Georgian and female. But is that any worse than writers today who would depict her as being inherently righteous based purely on the same factors? More and more these days I'm finding I can identify the culprit in a murder mystery or guess the outcome of a sci-fi drama, just by ruling out the Minority Representation Characters - the real villain is never going to be the Moor, or the homosexual, or the difficult-to-communicate-with aliens. It's time we stopped evaluating moral worth based on social identity, and started evaluating it based on actual moral worth defined by Scripture. Which I felt was actually something that Crawford overall did right; Arisa's character stood out as an aberration, a generally careful author falling into laziness. Because the main thing that impressed me about this book was how carefully and thoroughly it challenged the oppression in Renaissance Venice. I recently read another book set in Venice, a twenty-first-century YA novel, and that one was very hamfistedly passionate about how badly women were treated in this time and place. I did not expect to find an author in 1901 getting passionate about the very same issues. Marietta, the title character, like every other girl in Venice, is expected to marry the man her father picks out for her. And if she refuses or disgraces herself, she'll be locked up in a convent whether she wants it or not. 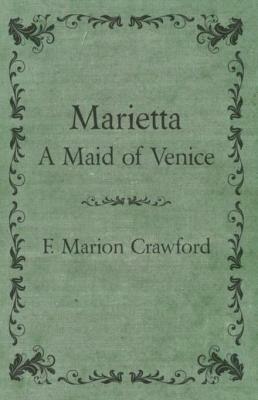 Crawford emphasises, again and again, the fact that Marietta is privileged to have a decent father who loves her and will listen to her, even as he takes for granted his right to dispose her life for her: many Venetian women didn't even have that much, and nobody thought twice of disposing them in the way that would be most profitable. The book was a breath of fresh air. Followers of this blog will be aware of how irately I react to hamfisted feminist critiques of past social eras. Too many ignorant feminists want to depict the entire past with a paint roller instead of a pencil. Any culture prior to 1960 (or 1980, or 2010) was a time of partriarchalist misery for women, right? Wrong: you can't just assume that every single person in every past culture in every part of the world believed the same thing about women. They were different. Some of them were quite good for women; many European cultures in the High Middle Ages, for instance. Some of them were terrible. Renaissance Venice seems to have been one such culture. And yet, the feminist answer is to say that men are baaaad, and women are goooood, and call for the latter to band together in a sort of revolution against the former. The Christian answer is that men and women are bad and good, and that the line between good and evil goes right through the centre of every human heart; and that that is the great dividing-line, not the difference between the sexes. Men and women are allies in this fight. This is the truth that Crawford expresses in his book. Marietta's fight against the injustices her society imposes on women is a mirror of Zorzi's fight against the injustices his society imposes on foreigners. When Marietta finally confronts her father, she's described as "fighting for the liberty of her whole life". I was cheering all through the scene because it was such a brilliant picture of how Christians defy authority: with reason, respect, and love. Marietta is having no more of her father's nonsense, but she refuses to respond with fussiness, entitlement, or self-pity. It was great. This book was all about patriarchal oppression, but I've rarely read anything less feminist. I loved it. In addition, I really enjoyed how vividly the book was written, and the convincing detail about the art of glassmaking. Though not without flaws, it was a thoroughly enjoyable, informative, and stirring read. Find Marietta: A Maid of Venice on Amazon, the Book Depository, or Project Gutenberg. In Mohawk Valley, young Alan Carey is forced to leave Cambridge in disgrace after being accused of cheating at cards. Expelled from the college and a pariah among his erstwhile friends, Alan heads back to the ancestral home at Llanstephan to face his father, the formidable old Charles Carey familiar to readers from Captain of Dragoons. The Earl, together with his friend Mr William Pitt, comes up with a plan: ship Alan across the Atlantic to make his fortune and repair his reputation taking care of the Earl's properties on the American frontier. Once in America, Alan finds his hands full learning woodcraft and dealing with untrustworthy stewards. But not all is peaceful in the backwoods, and political maneuverings in London and Paris threaten to bring war on the frontier. You guessed it: this is the book about the French and Indian War. Overall, I have to say that this is my least favourite of the Carey Family series so far. 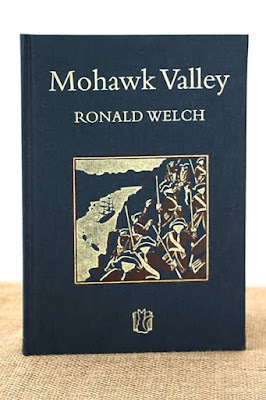 The plot was more episodic than most of Welch's other books, and I didn't at all care for the portrayal of one of the villains as a Scripture-quoting fanatic who first cheats and then attempts to murder our hero. The New England Puritans had their oddities, especially as time went on, but as a general rule they were sincere, law-abiding people, and I felt that by making their sole representative in this book a villain, Welch was trying to say something about the Puritans, and sincere religious faith, as a whole. So, in Mohawk Valley, Alan Carey faces nearly the most depressing fate for any young member of the English nobility: when he elects to fight a duel to clear his name, his nerves fail him and he drops his pistol, convincing everyone present that he's not just a cheat but also a coward. Alan heads home convinced that he's shamed not just himself but also his family name and his swashbuckling old father. The rest of the book is about how he rediscovers his courage and self-respect, even as he relinquishes his status as an English nobleman for the harsher and more egalitarian life of an American backwoodsman. There's more than one way of being brave, and more than one way of being noble, the book seems to say: if you fail at one thing, pick yourself up and try another. I can imagine that being a fairly encouraging thing for a young man to read. 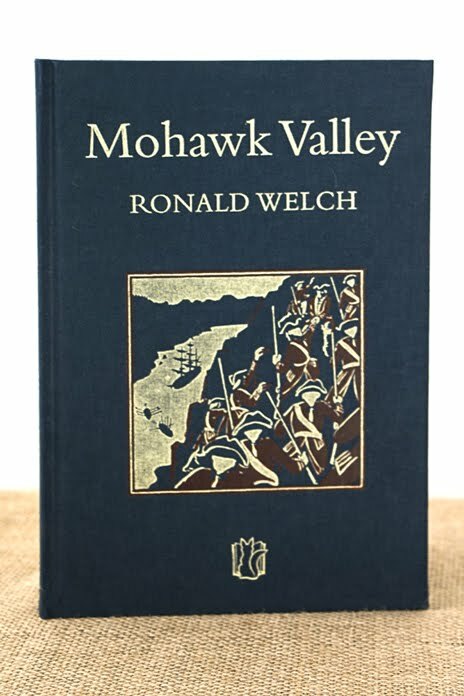 Mohawk Valley may not be my favourite Welch book, but it contains all the things that make the rest of the series worth reading: historical detail, military realism, and sympathetic characters facing tough decisions. The series is currently in print in beautiful limited editions available from Slightly Foxed - particularly recommended for home educators! Late last year I re-read a couple of Rafael Sabatini novels: The Sea-Hawk, and Bardelys the Magnificent. I'd already reviewed Bardelys here on Vintage Novels quite early on, but re-reading the book convinced me I should say something more about it. It has a pretty classic set-up for the plot: in Louis XIII's France, the fabulously wealthy Marquis of Bardelys is goaded into wagering his entire fortune that he will be able to win the heart and hand of Languedoc heiress Roxalanne de Lavedan. Matters are quickly complicated when a series of coincidences brings Bardelys to the de Lavedan chateau not as a marquis but as a wanted fugitive. Under these false colours, the Marquis is astounded to discover himself falling genuinely in love - but not everything about the wager is what it seems, and Bardelys's deceptions quickly put him not only in danger of losing Roxalanne but also of losing his life. 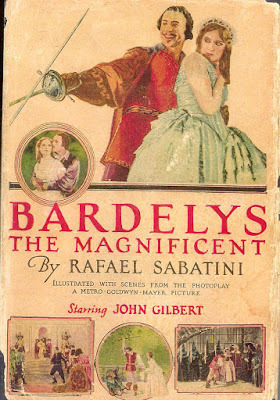 I remembered Bardelys the Magnificent as a fun, melodramatic romance with plenty of sword-fighting, danger, and intrigue, which is what we all really want from Sabatini. But although it's not one of his more famous works, I was pleasantly surprised, this time, by just how good it was. The plot (as you can tell from the summary given above) is not particularly credible, but it makes up for that by being extremely well-paced and full of twists and turns so poetically satisfying that one doesn't mind the stretches. The love story, as usual, features the two protagonists doing awful things to each other, but it doesn't come with anywhere near the same level of unfortunate implications as in some of Sabatini's other novels - The Sea-Hawk, for one. I note that in any good love story, the characters must do increasingly terrible things to each other; and this is because every good story and every good character arc is, ultimately, about repentance. I've been reading John Truby's amazing book The Anatomy of Story over the last few weeks, and he makes this point as well: the aim is to force a character to come to a moral decision between two choices. And this is what Sabatini does well in this book. Later in his writing career, Sabatini would come to blame all his heroes' hardships on Fate. Nothing that happens to them is their fault - and it makes for terrible stories. In Bardelys, there is a little of this unsatisfying philosophy, but the main focus of the story is on the protagonist's moral growth. By taking on a new identity, he puts himself in a position to see his old self - the Marquis of Bardelys - more clearly, through the eyes of others. And by falling for Roxalanne, he is motivated to leave behind what he sees for a new life and in many ways, a new identity. Which is, perhaps, burdening a hilariously melodramatic potboiler with just a little too much significance. This is a completely preposterous story, after all. But it owns that fact, and somehow, despite its vintage cheesiness, I found it affecting. If it's cheese, it's cheese of the very best quality: and it works. If you love vintage swashbucklers such as The Prisoner of Zenda or The Mark of Zorro, don't miss Bardelys the Magnificent. You can find Bardelys the Magnificent on Project Gutenberg, Amazon or The Book Depository. A silent film of Bardelys the Magnificent made in the '20s was recently rediscovered. I haven't seen it, but I'd love to. Have you seen the silent film or read the book? What did you think? Well, 2016 went out, and 2017 came in, and I am back, looking bronzed and fit. You'll have to take my word for it, of course, but that's my story, and I'm sticking to it. For a month when I tried not to do anything, I feel January was pretty productive. I wound up with a lot of thoughts about OUTREMER, and I've even started laying the groundwork for the second draft, in a leisurely sort of way. February is shaping up to be rather frantic, so we'll see how far I get with it. One thing that's happening this year: someone is having a centenary. James McAuley is not just (in my opinion) one of the greatest Australian poets ever (and a bonafide Aussie larrikin), but Wikipedia credits him with engineering "a significant setback for modernist poetry in Australia". He's also simply a personal favourite. And he was born on October 12, 1917 - a hundred years ago this year. So it seems appropriate for the first post of 2017 to be a poem by James McAuley. Here's one that's been a favourite for several years. That sultry afternoon the world went strange. Trees, houses, grass took on unnatural hues. Like doom itself with lightnings on its face. Pronouncing the Lord's judgments why and when. For nothing less seemed worth of the scene. Apocalypse exploded, and was gone. By nightfall things had their familiar look. 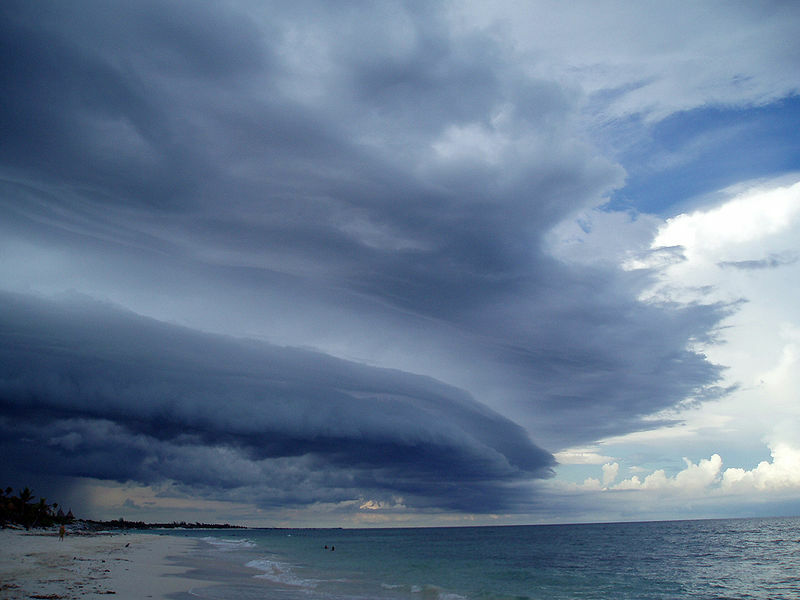 That rain or time would hardly wash away.